Now 100 pages per bimonthly issue! 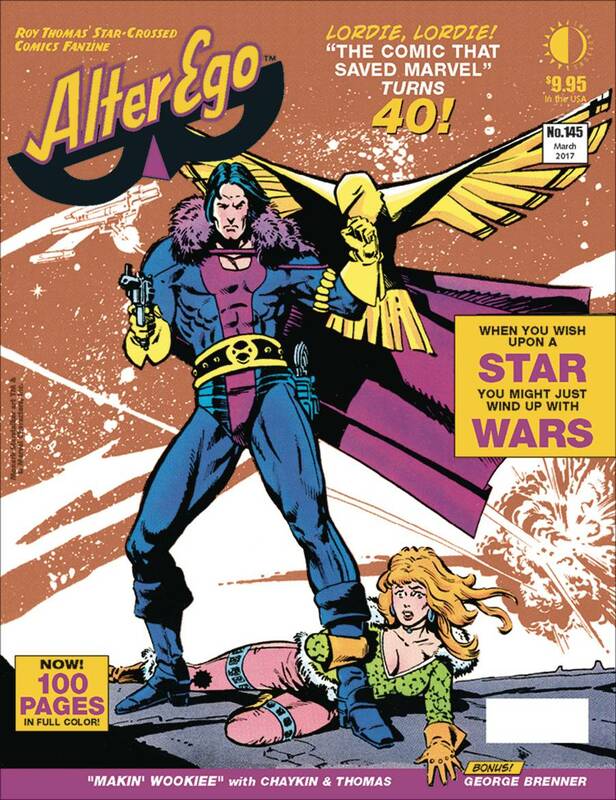 It's 40 years to the month after the debut of Marvel's Star Wars #1, and its writer/editor Roy Thomas tells Richard Arndt the story behind that landmark comic, going way beyond anything published before! Plus interviews with artists Howard Chaykin, Rick Hoberg, and Bill Wray. Also: the story of George Brenner, creator of The Clock, comic books' first masked hero - 'Jazz in Comics' by Michael T. Gilbert - the finale of Bill Schelly's salute to G.B. Love - FCA (Fawcett Collector's of America) section - and more! 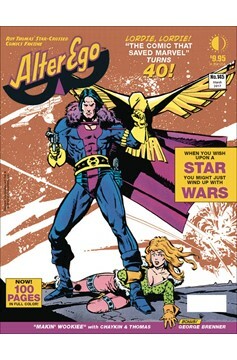 Dramatic sword-and-space cover art by Chaykin!.